As you could see in in one of my latest posts I’m a little bit obsessed with rose gold jewellery lately. 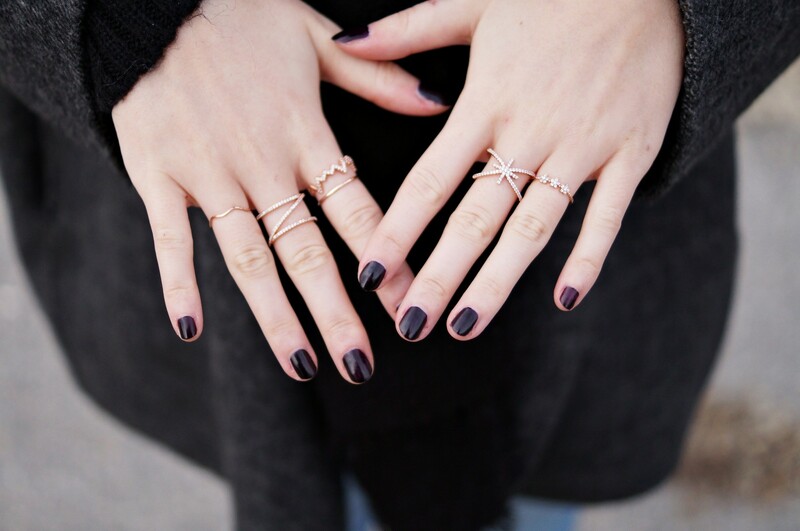 Today I’ll show you my favourite rings and where to buy them! Rosegold rings aren’t that easy to find and often there are only expensive rings made out of real gold, for example these luxurious rings from New One with real diamonds (here or here). Thank god there are cheaper versions of that rings, too, but unfortunately they are sometimes really hard to find, but it’s worth the struggle – they really look as beautiful as the real gold ones, don’t they? You can find basic rosegold rings (such as stacking- und knuckle-rings) at Bijou Brigitte (for example here). You can get the ones with fake diamonds for example at Etsy (here or here) or at ASOS (here or here). Sooo schön ich suche schon so lange nach so kleinen dezenten! My favorite kind of accesories! Lovely post!